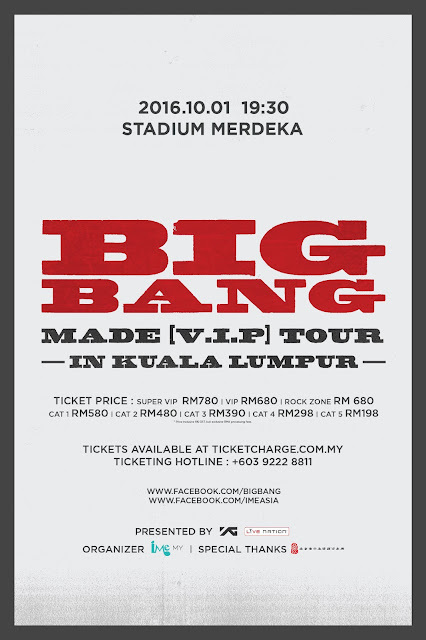 Kuala Lumpur, September 2016 - IME Malaysia is proud to announce that BIGBANG MADE [V.I.P] TOUR IN KUALA LUMPUR will be happening on 1st October 2016 (Saturday), 7:30p.m. at Stadium Merdeka. Don’t miss your chance to meet BIGBANG members G-Dragon, Taeyang, Daesung and Seungri & Bang Bang Bang together! Ticket launch has already happened yesterday (31st August 2016 (Wednesday)) at Tropicana City Mall ground floor main concourse area and it has great reception from the fans! ** Unfortunately, T.O.P will not be joining the rest of the BIGBANG MADE [V.I.P] TOUR due to the difficulty in his schedule arrangement. 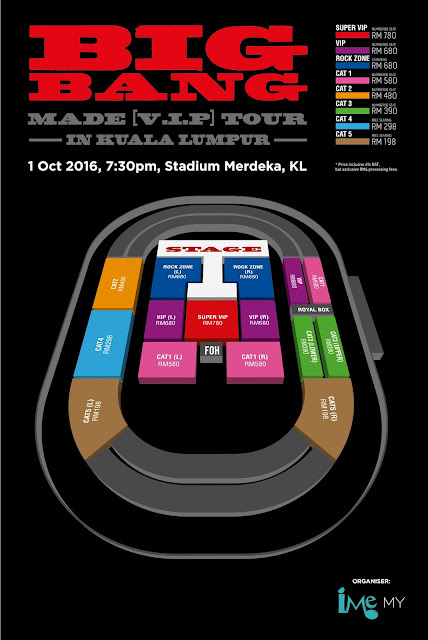 T.O.P has expressed his deepest apologies to the fans who have been waiting to see him on the stage. YG Entertainment and IME Malaysia also send out sincere apologies to the fans.